The sole focus of Blue Jay Exterior Renovations is working directly with homeowners on exterior renovations. We are dedicated to making sure that you are comfortable and knowledgeable about the decisions you are making, and provide a customized approach to our renovations. We provide free consultations, and will never pressure you in to a decision. Backed with industry leading warranties and skilled trades, we are dedicated to providing the best customer experience possible throughout your renovation. We have an outstanding reputation for high quality work and attention to detail. Our services include stucco, stone, EIFS, acrylic stucco, moulding design and caulking. We provide these services for both residential and commercial operations. Call Ercan Met directly at 780-938-9106 for information regarding sales and estimates. MetExterior is certified, qualified, and experienced. Our customer satisfaction and attention to detail are second to none. We operate a fully insured and WCB covered business which is very important in the renovation and construction industry. We not only comply with all of the rules and regulations, we exceed them. 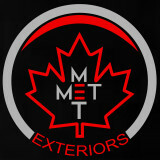 Met Exterior believes in maintaining the highest standards of quality, precision, and safety in all craftsmanship. We are mastered veterans of the siding and wall systems industry. 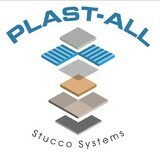 Plast-All is focused on safety, integrity, and quality. Our Stucco work is art and we want to share that art with you. 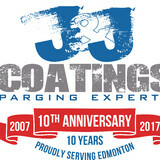 J and J Coatings can help protect the most important part of your home, the foundation, from the damage caused by Edmonton's harsh climate. Parging is an attractive barrier between your foundation and snow, ice and water. We're the parging experts you need to work with to ensure your job is a success story. In business since 2007, we pride ourselves on our policy of 100% customer satisfaction. We keep our reputation by providing expert advice and professional, high-quality parging services. It all begins with your free, no-obligation quote. Call us today to get started! 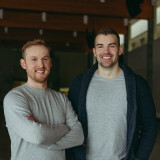 Great Canadian Roofing and Siding Ltd.
Great Canadian is proud to provide home renovation products and services in Edmonton. We make it easy for homes and businesses to find energy efficient renovation materials and craft sustainable energy solutions. With our high quality products and services, our clients are able to reduce energy costs and improve the value of their homes and commercial properties. Our headquarters in Edmonton features windows and doors, heating and air conditioning, roofing, siding, and more. I am a Local business, 20 years professional Service, reasonable prices, Licensed, references, Call Shane to get your free estimate today! Our mission at AB SIDING is to provide our customers and potential customers with an unparalleled experience when working with ABSIDING. Since We have been in business we are providing exceptional customer service and above and beyond quality installation of leading products like James Hardie Siding backed by the best warranty in the trade. Whether you require some simple siding repairs/modifications, need a full exterior quote on a multi-family complex, or anything in between, we are ready and eager to serve you. Every persons situation is unique, and has different factors in which to consider before making an informed decision. We take the time to understand your circumstance and provide the best solution for your needs, and we do so with complete honesty and integrity. Orange Exteriors is a stucco & stone contractor providing high quality services in both Commercial and Residential projects no matter the size. We offer a quality that exceeds what is expected in today’s marketplace and our customers know that they can count on Orange Exteriors to get the job done on time and on budget. We have the experience, the vision and the commitment to exceed your expectations. We deliver top quality craftsmanship with the best materials from acknowledged suppliers at affordable prices. And we have a keen respect for punctuality and care for reaching deadlines. When you need a project done right the first time, count on Orange Exteriors for our expertise as well as quality control. Whether it be Stucco, EIFS, Stonework, Repairs or Parging, we will get the project right the first time. Kontech Masonry is been in serving in and around Alberta for over 10 years. We can help you design and pick the right cladding for your house and for your budget. We are on time and on budget without compromising from our quality every time. Give us a call for your next project for pleasant and hassle-free experience. Country Stone has been manufacturing precast stone for vertical walls for 25 years. Based in Edmonton, Alberta, we have a 24,000 sq ft production facility, which contains a showroom with all of our product lines. We are the largest manufacturer of precast stone in western Canada and are proud to provide Canadian-made products to our clients. Country Stone product is the choice for many large homebuilders in Edmonton and Calgary, along with commercial builders of all sizes. Please visit our website (www.countrystone.ca) for pictures of some of our current and past projects. In addition to manufacturing precast stone, we also have an installation division, Accent Stone Install Ltd., which is PICS safety certified, has full WCB coverage, carries 5 million in jobsite insurance, and provides expert installation services for jobs of all sizes. Quality control and moisture management is a top priority at Accent Stone, and our customers value the quality and durability of our stone. At Country Stone, we are constantly innovating, designing new product lines, and enhancing the realistic aesthetic stone veneers of our products. If you have something special in mind, we can also work with you to customize our product to suit your project needs. Thank you for considering us, it’s good to buy Canadian! Supply and install of architectural roofing and siding products. Panels, longboard, zinc, copper, stainless steel cladding etc. Riella Installations Inc specializes in home exteriors. We install all types of siding including stucco, and siding (vinyl, hardie plank, wood, and specialty products like longboard and aluminum cladding AL13). We also complete soffit, fascia and 5" continuous eavestroughs with downspouts. 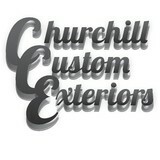 Welcome to Classic Exteriors, an exterior renovation and siding company serving Edmonton and the surrounding areas. We pride ourselves on providing outstanding service and quality products for the last 28 years. Our two principal partners, Ray and Marcel, have more than 70 years of combined experience in the exterior renovation and siding business. Our business is 100% safety certified and our professional teams are highly skilled, fully licensed and insured for your peace of mind. The siding of your home is a hugely important factor when it comes to first impressions; a damaged or mismatched exterior can cast a negative light over a property’s entire aesthetic! If you need new siding installed, or your exterior is in need of repair, repainting or replacing, a Saint Albert, AB siding and exterior contractor can help you out. What types of siding services do Saint Albert exterior contractors provide? Wood siding needs more maintenance than less-expensive, low-maintenance vinyl siding, but with proper care it will outlast vinyl siding, which can fade and crack over time. Your Saint Albert, AB contractor might also suggest fiber cement siding, which is fire resistant and termite-proof and can come with a warranty of up to 50 years. Find siding and exterior contractors in Saint Albert, AB on Houzz. Narrow your search in the Professionals section to Saint Albert, AB siding and exterior contractors. Find out how long a Saint Albert, AB exterior remodeling contractor has been in business, view portfolios, read reviews and get contact information.